A True Farm To table Experience. 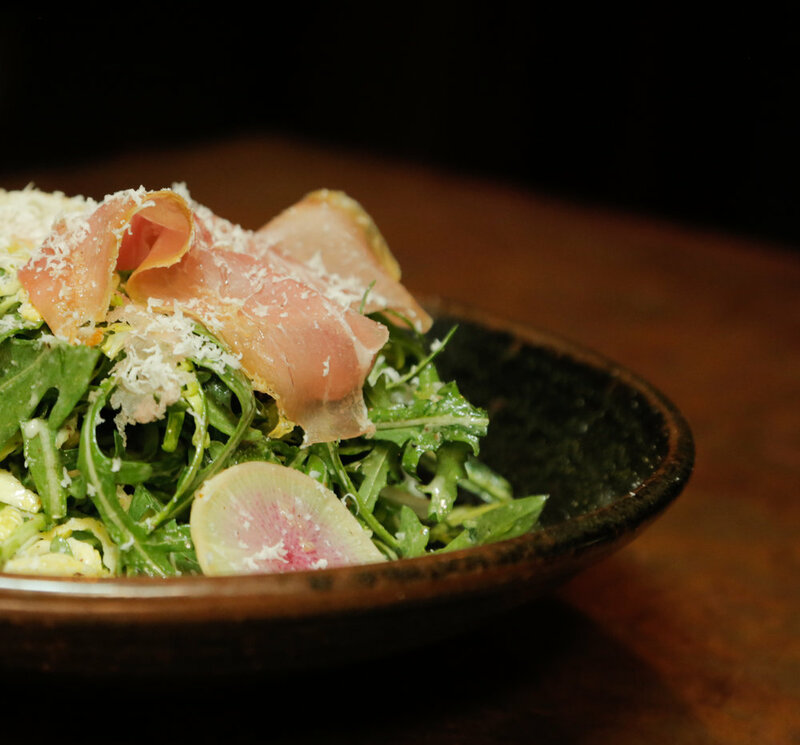 Located in Russian Hill, Seven Hills is a purveyor of fine Italian dining from the esteemed Chef Anthony Florian. Chef Tony often does not finalize his menu until he has been to the farmer’s market and has seen the season’s freshest and most delicious offerings. Diners always leave the restaurant feeling as if they’ve eaten something extraordinary. Call (415) 775-1550 from 5p – 10p daily, or book online with OpenTable. Celebrate your next occasion at Seven Hills! We will create a unique and inspiring Italian menu, to be served “family-style.” Each menu is designed to highlight the main course and includes dishes that are seasonal and locally sourced. Each 4-course dinner menu starts at $90 per person; the 3-course lunch menu starts at $65 per person. For private parties and exclusive use of the restaurant, Seven Hills can accommodate standing receptions for up to 50, as well as seated meals for up to 30. Chef Anthony Florian will create a personalized menu for you, featuring his signature rustic Italian cuisine. For catering - corporate locations and private residences, Seven Hills has dedicated culinary and service teams available for any type and size of event or occasion. Indulge with the cuisine and amenities of the restaurant in the luxury of a private residence or venue of your choosing. Some chefs cook Italian food, but for some chefs, Italian food is in their soul. Anthony Florian (Chef Tony) is one of those chefs. His earliest memories involve the smells and tastes of Italy; as far back as he can remember, tortellini- and ravioli-making were part of the yearly traditions. These dishes graced the family table at every major holiday--ravioli at Christmas and soup tortellini on New Year’s Day, all hand rolled and lovingly crimped. After his schooling, the natural segue for Chef Tony was culinary school. He graduated from the California Culinary Academy in 2005 and spent nearly a year in Italy cooking in two restaurants—first, Da Gigetto, and then Casa Brusada, both high-end restaurants in the Veneto region. Upon his return, he began his professional career at Dry Creek Kitchen, a Michelin-starred restaurant in Healdsburg owned by Charlie Palmer. To further his career, Chef Tony moved to Santi in Geyserville, where he learned to make salumi under the tutelage of Franco Dunn, and to advance his knowledge of fine Italian cooking. He stayed at Santi for three years, eventually moving to Santa Rosa with the restaurant, now as a sous chef. In 2010, Chef Tony returned to San Francisco, where he worked at several fine dining restaurants. His favorite by far was Quince, where Chef Michael Tusk’s attention to detail and extended knowledge of fresh food moved his career far forward. 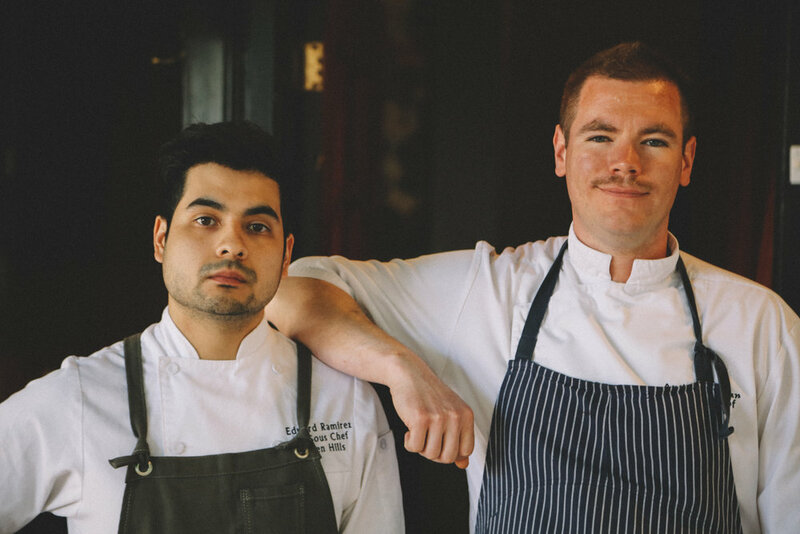 To Chef Tony, Chef Tusk “made him a chef,” instilling in him the farm-to-table concept and teaching him to reach far within to bring his offerings to a new level of taste and quality. Chef Tony is now the executive chef at Seven Hills, an upscale Italian restaurant whose farm-to-table offerings are sought by diners in the San Francisco environs as well as travelers from the United States and the world. 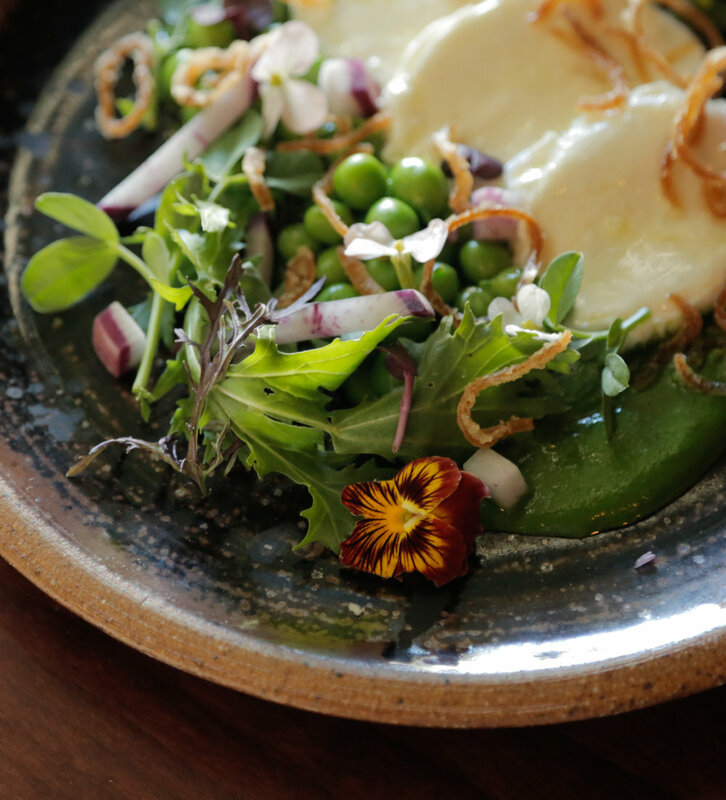 Chef Tony often does not finalize his menu until he has been to the farmer’s market and has seen the season’s freshest and most delicious offerings. Diners always leave the restaurant feeling as if they’ve eaten something extraordinary. On most days, you can find Chef Tony at Seven Hills, creating dishes for the evening crowd and teaching his cooks, in his unflappable style, how to expand their knowledge and passion for Italian cuisine. His love for his Italian roots is evident in everything he prepares. 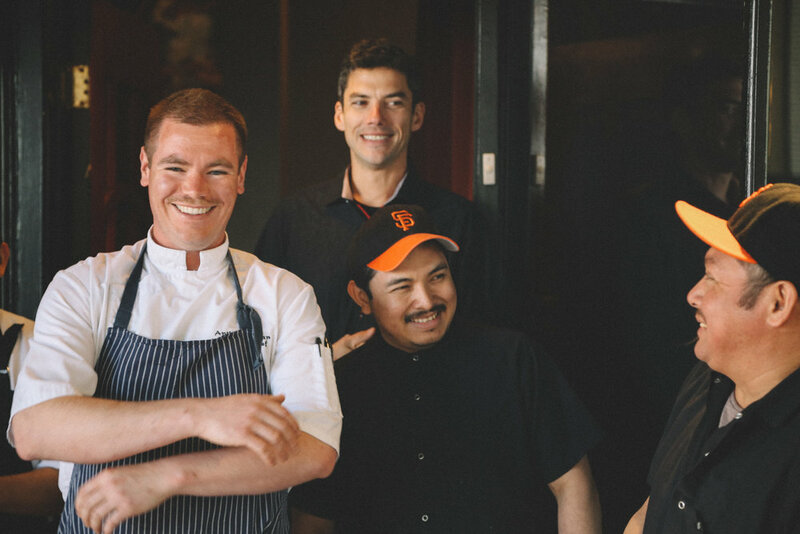 For a fine dining establishment to survive and truly thrive, you need a team as close to one another as family. It's the basis of everything we do, and the reason that our patrons feel as if they've been invited into a cozy family dinner. "Chef Florian turns out about 20 savory dishes from the tiny kitchen, plus three or four specials a night. He also makes his own salumi, including lonza and coppa. In addition to the three main courses — pan-roasted guinea hen with Brussels sprouts, gigante beans and Nardello peppers; market fish with toasted fregola; and Wagyu flatiron steak, the chef offered a special of pork shoulder and loin that serves two. It was beautifully plated with the thick slices of slightly pink meat on a bed of gigante beans and, for a surprising textural contrast, both long-cooked and quick-cooked Swiss chard dressed with lemon. 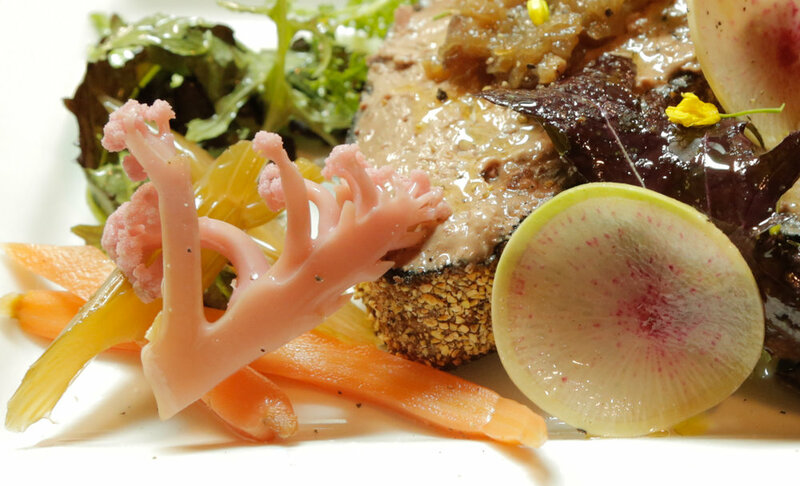 Each bite showed a unified complexity that was well thought out and attractively delivered." 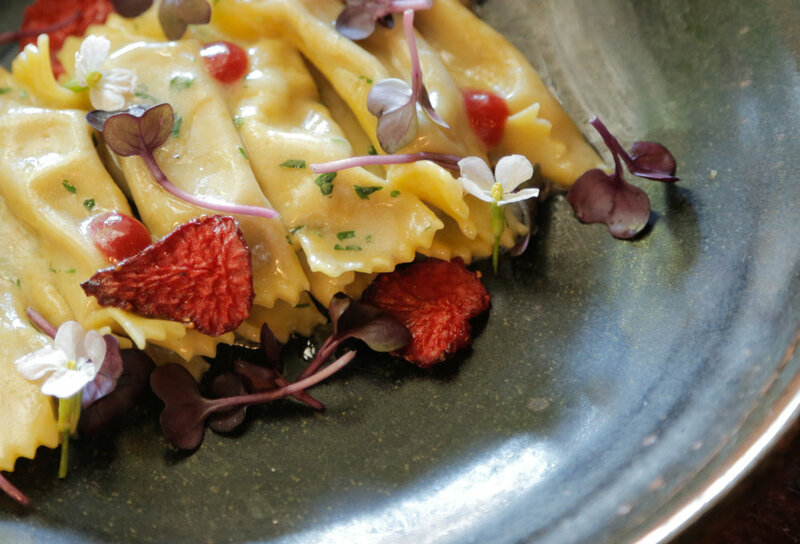 "This delightful Nob Hill Italian enjoys neighborhood-gem status thanks to incredible pasta dishes paired with a well-selected wine list and warm service." 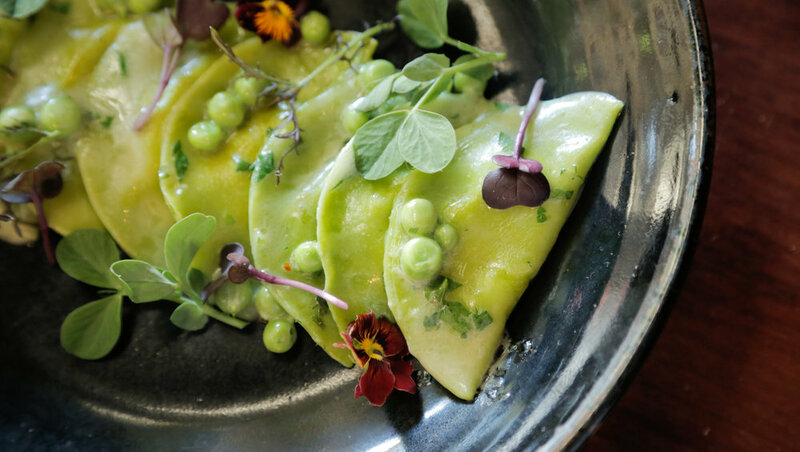 "Set among the Seven-hills of San Francisco is well-executed, refined, Cal-Italian cuisine found at Seven Hills." 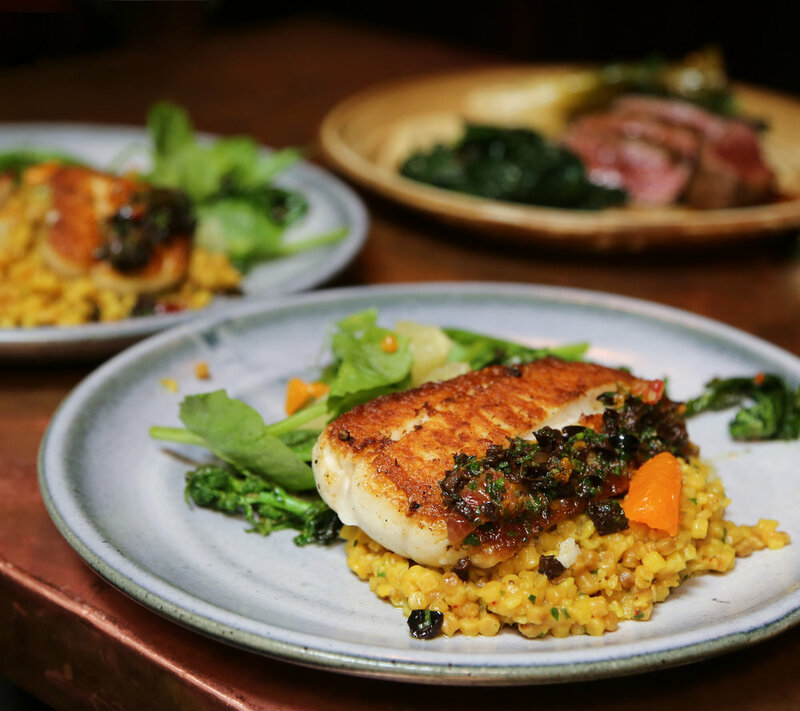 "The foundation of San Francisco dining has always its high-quality neighborhood restaurants, and this Nob Hill place is the perfect example. The charming interior, with tongue-and-groove wainscoting and a Venetian chandelier over the bar, spreads over two small storefronts, and the service is as professional as you’ll find. Chef Anthony Florian makes his own salumi and practices whole animal butchery, often featuring pork, rabbit and goat. He’s created an extensive menu given the number of seats, with not only his salumi but eight appetizers and salads, five pastas and three or four main courses, such as leg of pork with potatoes, charred broccoli rabe and salsa verde. Diners can also expect some interesting side dishes, such as roasted Brussels sprouts with lemon and Parmesan."